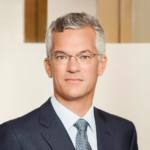 Michael Denham was appointed President and CEO of BDC in August 2015. He brings nearly 30 years of management experience to BDC, having led large organizations with a pan-Canadian presence. Mr. Denham most recently served as President and CEO of AquaTerra Corporation. Prior to this he was the Senior Managing Director of Accenture’s Canadian division, a role he held since 2011 after joining the company in 2007. Before this, he was President, Business Process Services with CGI Group, and Senior VP, Strategy at Bombardier, where he was responsible for mergers and acquisitions, corporate strategy and global partnerships. Mr. Denham began his career in 1987 with McKinsey & Company, and was a Leader of their Canadian practice, focusing on manufacturing and mining from 1994 to 2001. The Business Development Bank of Canada (BDC) is Canada’s business development bank and the only financial institution dedicated exclusively to entrepreneurs. Its mission is to help create and develop strong Canadian businesses through financing, advisory services and indirect financing, with a focus on small and medium-sized enterprises. Through its subsidiary – BDC Capital – it also offers a full spectrum of specialized financing, including venture capital, equity as well as growth and business transition capital. TheFutureEconomy.ca: Please introduce us to BDC and the key challenges it seeks to address in Canada. Michael Denham: The BDC is a self-funded Crown corporation. Being a Crown corporation means we have one shareholder, which is the federal government, but we have our own board and we operate at arm’s length while being consistent with Ottawa’s policy imperatives. We are self-funded as we do not rely on annual appropriations from Ottawa. We function like a bank so we have our balance sheet and then every dollar that we post as net income goes into our balance sheet and we use that for lending and investing in our clients. We are subject to all the disciplines that all the banks are subject to around capital adequacy, Basel and other regulations. So we run ourselves as a bank would in terms of our capital base, which taxpayers would expect to make sure that we are using the resources that we have in as a prudent a fashion as possible. Our primary business is lending, mostly lending to entrepreneurs and small businesses. We are Canada’s most active venture capital investor and we have an advisory services business line as well. One of the key impediments for entrepreneurs to succeed and grow their companies is financing, but what also tends to be at the top of the list is capability and knowledge. So we have put up this advisory services business line to basically deliver the kind of coaching, mentorship and knowledge-building for entrepreneurs that addresses those key impediments to their growth. How do you assess Canada’s competitiveness in today’s global economy? What are Canada’s strengths and weaknesses? According to the facts and figures from the World Economic Forum (WEF) and other international organizations, Canada is not maintaining its level of competitiveness if you compare us to other developed countries. But we are highly focused on what we need to do to make Canada a more competitive place. We have looked at the key drivers of competitiveness and we put in place programs to address each. One challenge is that we are not where we need to be in terms of innovation. Another challenge is productivity; one thing we measure is the gap between our productivity and that of the US, which continues to grow. The third challenge, which is somewhat more obscure but people are now realizing the urgency of, is our ability to scale up as opposed to just start up companies. Canada’s track record is relatively good when it comes to starting up companies; our big challenge is to take those start-ups and to get them to a certain scale. On average, only 1 company in 1,000 passes the threshold of 100 employees every year, which is on the low end of medium sized for a company. This matters because the bigger a company is, the more likely it is to invest, to innovate, to spend on R&D, to export, to hire, and to stay Canadian. So scale is a big driver of the many dimensions that come together to make for a more competitive economy. Scaling up is therefore a priority and if you look around, there is a lot of activity to address this challenge. Of course Canada has a lot of strengths too and we see this a lot through BDC’s venture capital arm. Canadian talent, especially the university-produced talent around software engineering and tech for instance, is really good. The Kitchener-University of Toronto -Waterloo corridor is one of the most sought after places in the world for companies looking for talent in engineering and new innovation sectors. How is Canada doing in terms of retaining the talent it produces? It depends on the region. There are some schools – in the Atlantic provinces for example – where they really establish talent retention as a big priority because there are students coming in from out of province and out of country, and if these students stay in Newfoundland, Labrador, New Brunswick, or Nova Scotia for instance, it is going to make a big difference to the dynamism and demographics of those provinces. So schools in those provinces really focus on that. My sense is that by and large, Canada is an attractive place for students to stay once they have graduated. Having a vibrant, entrepreneurial, venture capital and tech ecosystem is very important because it gives international graduates opportunities to jump into once they have graduated. I think the second strength is the culture and open-mindedness of Canadians, which also makes Canada an attractive place to move to. Given our culture and history of immigration, Canadians are often part of a diaspora that connects them to other countries around the world so it makes Canada a more connected place than a lot of other countries. One of Canada’s limitations is the ability of its companies to go global. What can be done to address this? I agree and we at BDC are really focusing on this because SMEs are a big part of this challenge. We compared Canada’s export profile to the export profile of all OECD countries and on average, 40% of all OECD exports come from small and medium sized enterprises, while in Canada, that number is only 25%. Of course, the fact that we are a big resource exporter skews the data a little bit but we do feel an obligation to do something to tackle this challenge. Overall, I think we are in this situation because it has been very tempting to export to the US over the years; it is close, culturally similar, and the exchange rate has helped over time. As a result, companies have not been sufficiently attentive to other markets around the world. We recently conducted a survey of 700 exporting clients to get to the essence of what defines those who are successful. The first attribute of a successful exporting company is high productivity because when you sell globally, you are typically up against very tough competitors. So you have to be very productive to succeed. The second attribute of successful companies is how they pick markets and really spend the time to understand the competitive value proposition they are up against. So they do a very thorough assessment of the market in terms of competition, distribution channels and their own value proposition amongst other things. The third attribute is they have all hired at least one person dedicated to international sales. Sales is a serious undertaking and a serious investment so you cannot do this from the corner of your desk. You have to pick your markets, invest in those markets and establish a presence in those markets. Lastly, it needs to be viscerally important for the leader of the company to find opportunities for international growth. The founder of the company, the entrepreneur, really needs to care about globalizing his or her business. So those are the factors that correlate with companies and SMEs succeeding globally and that is the type of conversation we are having with our clients. BDC co-founded the Montreal Group. What was the motivation behind this initiative and how successful it has been thus far? We created it for two reasons. Up until the Montreal Group, there was no forum that gathered development banks from around the world. By definition, there is no other development bank in Canada, so there is no peer organization for us to learn from and we are strong believers in learning and improving. So the only way we could do that would be to form a bespoke group that would bring a number of development banks from around the world together to learn from each other, cooperate and help our clients find opportunities in other markets. In this vein, the Montreal Group organized its first SME Trade Mission last June 5-6 in Helsinki, Finland, giving SMEs from seven different countries a chance to meet Finnish corporates in the fields of clean technology and Internet of things. We had five Canadian SMEs attend and I have already heard of promising results from their meetings. The French, the Finns, the Mexicans, the Brazilians, the Indians and the Chinese are involved and there are nine or so banks that are part of the Montreal Group today. One thing that I have learned is that the BDC is viewed incredibly positively around the world. This is in part because of the fact that we have a direct lending model where we have our own client relationships, as opposed to doing loan guarantees or indirect support, which is very unique and inspiring for a lot of development banks. It is important for us because it gives us a vehicle through which to learn. A couple of years ago, we put in place this new offering within our advisory services group, which focuses on what we call high impact firms. These are companies that you want to scale up. We have put in place a novel solution for them, which is different than the consulting work we do for smaller companies. This was inspired by Spring, an SME-focused agency in Singapore. Now, we are working on collaborating more tightly with the EDC to make the whole support process as seamless as possible to entrepreneurs and we got inspiration for that initiative from the French. You also have an offering specifically for women entrepreneurs. Is this also something that is being shared through the Montreal Group? Some of the countries in the Montreal Group, like India or Malaysia for instance, are highly focused on women – in particular through microfinance – and there is a clear understanding of the importance of investing in women. However, the context for our new offering is home-grown. Here in Canada, we recently announced $70 million in venture capital investments for women in tech and that is new. This program complements a 2015 BDC commitment to increase its term lending to majority women-owned businesses to at least $700 million over three years. I think you can probably count on one hand the number of funds focused on women around the world so there is lots of interest and curiosity, not just among development banks, but frankly amongst all types of investors. The federal government’s last budget announced a boost in venture capital funding. How do you think public funding should be used to boost innovation and stimulate the economy? We were pleased to see the Venture Capital Catalyst Initiative (VCCI) was part of the budget, because we really think that it is the right move for Canada to focus on venture capital right now. At a macro level, Canada is on a bit of a roll right now with respect to venture capital; in 2016 $3.2 billion was invested in venture capital, which is 25% higher than the previous year, 3 times what was invested in 2009, and the most invested since 2002. Also, if you look at the returns on Canadian funds and you compare them to the US, the 10-year Internal Rate of Return (IRR) tends to be around 10% on average amongst US funds. In 2013, looking back on the previous 10 years, the average IRR in Canada was about -7%. By 2016 it was up to 4%, so we have not yet closed the gap but we have achieved huge strides in terms of improving the performance of venture capital funds in Canada. What you need to grow an ecosystem is investment dollars on the one hand and good companies worth investing in on the other. If these two factors get out of sync, you have a bit of a problem. But what I like about where we are going now as a country is that the investment dollars are continuing to increase. If you look at all the activity in Toronto, Montreal, Vancouver, the Atlantic Provinces and elsewhere, we are also producing a lot of interesting companies worth investing in. So all that momentum is happening as we speak. The VCCI comes on the heels of the Venture Capital Action Plan which was done about four years ago, and that was a $400 million venture capital injection from the federal government invested in a series of venture capital funds. Since the government requires companies to attract private sector money, that $400 million became $1.35 billion. Right now, we are in the process of working out the modalities of how this VCCI will work but we know there will be a requirement for private sector leverage for anyone to get access to this funding. We know there needs to be more of a focus on late stage VC rather than early stage VC, and over the course of the next few months, the specifics will get defined and then the money will be allocated to a number of funds and ventures. Hopefully, within a year or so, we will have commitments to in excess of 1 billion dollars in total incremental VC investments to this program. Are there any requirements in terms of directing that money to specific sectors or companies in a specific stage of development? What we are going to do is make sure there is proper consultation done over the next period of time to get all views on the table, and that will then be fed into a set of criteria and objectives that will come out sometime in late summer or fall. I do not want to prejudge things but my sense is there will be some direction and intent provided as to which areas of the economy, which investment stages are most urgent and the program will then be configured to make sure the appropriate levels of funding end up in those priority areas. What are the top three opportunities that will drive Canada’s future economy in your opinion? I think artificial intelligence (AI) is one and I say that because it is important and because we have a pretty good start already. Second I think, is clean tech and clean energy, which are a bit different. Clean tech is another priority in the most recent federal budget and EDC and BDC together received a significant amount of investment to make sure that projects are supported. Clean energy is about recognizing that our natural resources are a real asset, and finding a way to inject some technology to make their development cleaner is another priority. You see all the activity by IBM, GE and others in Calgary where there is a whole lot of investment being made to take advantage of the resource in a way that is cleaner and more sustainable. The third opportunity is talent. There used to be a lot of concern here a number of years ago around venture capital money coming in from abroad, investing in companies and then moving them somewhere else. When your advantage is talent, this will not happen because the money will come here to access that talent. So I see this talent equation as being very important to make sure that as we attract money from outside of the country to be invested here, it stays here and serves to grow and accelerate the growth of Canadian talent based companies. Talent is a real strength for Canada, especially around technology and innovation. We have great ocean technology talent in Nova Scotia, great IT and AI talent in many parts of the country, so there is a lot to build on there. Lastly, although not uniquely Canadian, I think Industry 4.0 is going to be very important for all Canadian companies in the years ahead. This will allow for increased competitiveness, higher productivity and a lot less waste – and the technologies are even becoming affordable for our client base these days. We often talk about Asia as a market or as a source of foreign investment but how important is Asian entrepreneurship to Canada’s economy? Today, Canadian-Chinese and Canadian-Indian entrepreneurs make up 30% of immigrant businesses in the country, and in Toronto 20% of new entrepreneurs are Canadian-Chinese. So Asian entrepreneurs are very important to the vitality of our economy. As a result, we are making ourselves available and accessible to support these companies. Secondly, you have a large number of Canadian-Chinese investors in places like Hong-Kong or Singapore for instance and there is a real interest and a recognition that there is a lot of very exciting innovation going on in Canada. People also look at the cultural affinity that they have for Canada and at their personal histories, which flow in and out of Canada. I found a lot of emerging interest on the part of a lot of these Canadian-Chinese families and family offices to find investment opportunities in Canada, especially in the area of innovation. Naturally, this is not limited to Canadian-Chinese entrepreneurs but it is an interesting source of potential investment opportunities from them and everybody else. Can you paint us a picture of ‘Canada 2.0’? What do you hope Canada can achieve and become in the world by 2050? I think we will be a clean and sustainable resource powerhouse, especially when it comes to agricultural products and clean oil and gas, which I think we will have figured out by then. I think we will have a successful innovation economy, which will be fueled by the talent we are producing out of universities and the attractiveness of Canada as a place to live, which draws talent from around the world. I think that in some sectors Canada will stand out, areas like clean tech and the application of AI to resource-based industries. Because of all these, Canada will be a much more successful and globally recognized export country.